Filipino no. 1 super lightweight boxer Al Rivera will face a tough opponent from Russia Aik Shakhnazaryan on October 8, 2016 in Krylia Sovetov, Moscow, Russia. The Filipino hard hitting boxer will try to win the first WBC offered. Al Rivera is a 23 years old boxer from Santa Rosa City, Laguna, Philippines and has a record of 16W(14KO)-2L. Rivera is a former Philippines Boxing Federation (PBF) lightweight title and the current OPBF super lightweight title. Rivera wins his first Philippine belt after beating Junard Postrano via KO in 2014. In February of 2016 Al Rivera traveled to Japan to face Shinya Iwabuchi and he defeated the Japanese via KO to win the vacant OPBF super lightweight title. Rivera is currently ranked no. 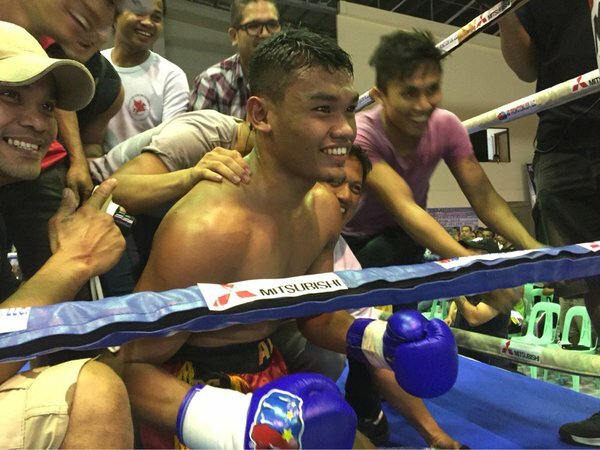 16 in the world and no.1 super lightweight in the Philippines. On the other hand, Aik Shakhnazaryan is a 23 years old Russian with the record consisting of 18W(9KO)-2L. He was a former WBO European super lightweight champion and IBF Youth super lightweight champion. Aik Shakhnazaryan is a tested boxer and once fought the current IBF and IBO World super lightweight champion Eduard Troyanovsky but he was lost via KO in 2016. But in his last fight, Shakhnazaryan fought a top Mexican boxer Daniel Ruiz and he defeated it via KO in the 4th round.